Pressure mounted on Hampstead's mayor Wednesday, with Prime Minister Justin Trudeau weighing in and a citizen lodging a complaint with Quebec's municipal commission. Pressure mounted Wednesday on Hampstead's mayor to apologize for saying Quebec's proposed religious symbols ban amounts to "ethnic cleansing," with Prime Minister Justin Trudeau weighing in and a citizen lodging a formal complaint with Quebec's municipal commission. 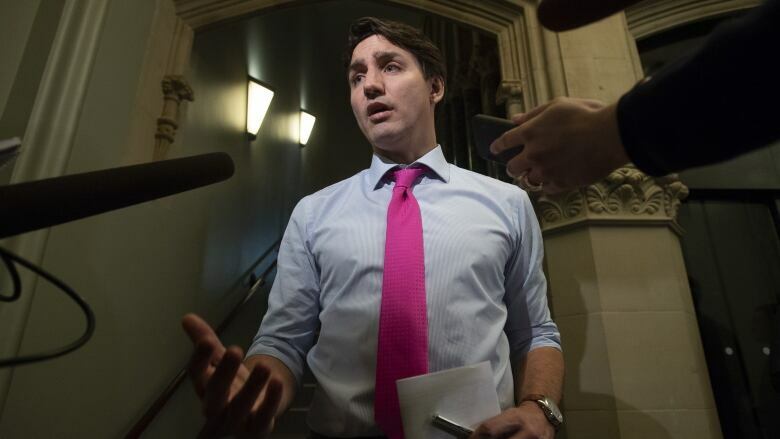 Trudeau noted that many are deeply concerned about Bill 21 — the Coalition Avenir Québec government's plan to ban certain public workers from wearing religious symbols — but said Mayor William Steinberg's remarks at a news conference last week were "unacceptable." "We don't need to go to extremes, we can debate this bill without pushing too far," Trudeau said. "I understand that there are people who are extremely worried about the bill — I understand but we can't use descriptions like those. "Evidently, when we speak of the Holocaust we must always take care to not go to extremes. With this debate there's enough substance to do it respectfully." But in an interview with CBC News Wednesday, Steinberg said his comments have been taken out of context. He said he wasn't referring to genocide, but about "peaceful ethnic cleansing" — when a policy has the result of pushing a minority population out of a state. "That's not what I said and I can't apologize for things I didn't say," Steinberg said, adding that he will be mailing an official statement to Hampstead residents to clarify that his only intention was to underscore the "seriousness of Bill 21," not to cause anyone any pain. "Bill 21 is an odious piece of legislation that discriminates against minority religious groups," Steinberg said. "It will have the effect of driving those minorities out of the province because everybody wants their children to have full opportunities." 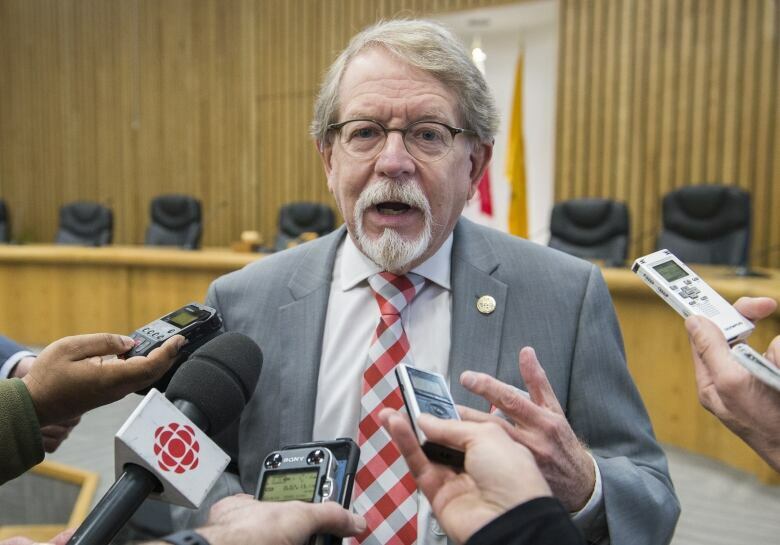 The mayor said he had heard of politicians, including Trudeau, condemning his comments. "Either they're ignorant of what I actually said — and some of them are not ignorant of what I actually said — or they are pandering to public opinion," he said. "I'm not that type of politician. I don't pander to public opinion, I don't lead from behind. I'm guided by moral principles," Steinberg added. "It's the words in Bill 21 that people should be focused on, not this fake controversy." Andrée Laforest, Quebec's municipal affairs minister, confirmed on Wednesday that a complaint was lodged with province's municipal commission. 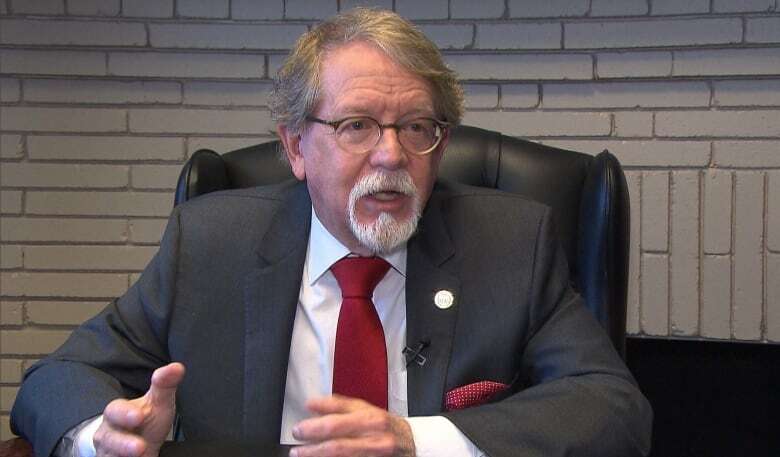 The complaint was filed by a Montreal resident, Jean-François Racine, who wrote that William Steinberg made "intolerant remarks about Bill 21" at the news conference. "I am filing this complaint so that a form of equality and justice for all is respected in Montreal. I hope you will take this complaint into consideration and investigate the severity of what Hampstead Mayor William Steinberg said last Friday," Racine wrote in his letter. A number of politicians have called for Steinberg to apologize in recent days, including Quebec Premier François Legault, Liberal MNA David Birnbaum, Montreal opposition leader Lionel Perez and Hampstead councillor Leon Elfassy. Steinberg has resisted those calls, but qualified his remarks on Tuesday. "I'm not talking about genocide, shooting people, expelling people, none of that," Steinberg said. "This is much more subtle. But over time, it will have the effect of making Quebec a less diverse society and that just isn't good."